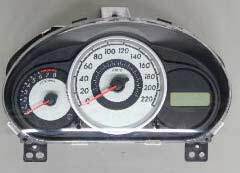 My Mazda 2 Instrument Cluster is faulty – How Can Sinspeed Help? If you find that the instrument cluster is faulty, you will have several options. You can either buy a complete replacement part, which only generally comes with a 12-month warranty, or alternatively, you can purchase a second-hand part which normally only comes with 30-90 days warranty. However, both options can work out extremely costly to replace, especially if you are required to replace the whole unit as this will also require programming at an extra cost. 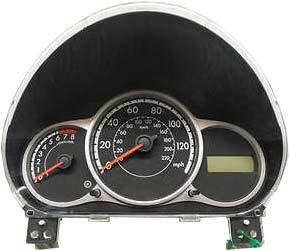 Here at Sinspeed, we are able to fully test, repair and rebuild your Mazda 2 Instrument Cluster using only genuine OEM components to ensure each rebuilt instrument cluster meets and exceeds OE specifications. It will also come with a Lifetime warranty, and will not require any coding once you receive the unit back – just plug in and play. If you have any further enquiries, call us today on 0203 815 9441 for a free quote or further information regarding the issues with your instrument cluster, and we will be more than happy to help. We also offer a professional fitting service is required. Tags : Mazda 2 Cluster Repairs, Mazda 2 Dashboard Display Not Working - We Can Repair It, Mazda 2 Instrument Cluster Faults Repaired, Mazda 2 Instrument Cluster Not Working.